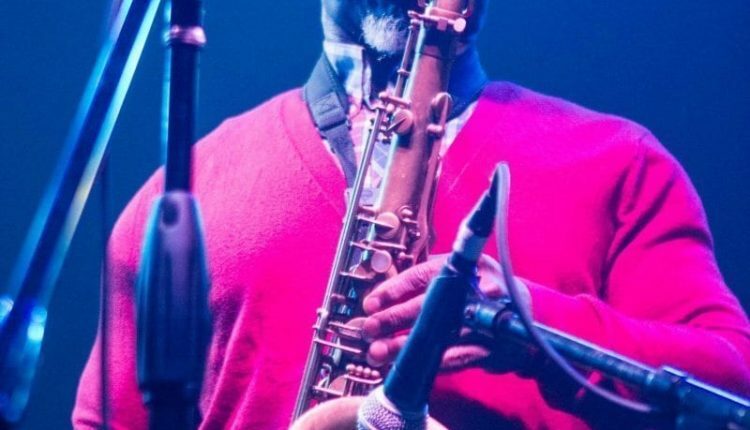 Karl Denson’s Tiny Universe brought its brand of classic and masterfully innovative improvisational jazz funk to the Westcott Theater on September 17th. Comprised of an ensemble of veteran-status, time-tested talent, they were able to maintain a captivating energy that after a very long set, left listeners wanting even more. And they delivered. How was this possible you ask? Karl Denson is a machine. Plain and simple. Don’t let the gray hairs on his beard mislead you. His presence and music are loud, energetic, fast, strong, and beautifully complex. This guy tears through airwaves like they were toilet paper. Based on his insanely muscular build, it looks like he could tear through a phone book or two also. But as Karl wowed us with his wild funky jazz lines, he reassured us that he was not just one mean-blowin’, jacked badass, but more of that wise, cool uncle-type that pushes you to be your best. About two thirds of the way through the set, he took the audience aside and gave us guys a pep talk on how to effectively get your groove back. It included a lesson on “Washing your a**.” It was funny, endearing and a great segue into a groovy jam. It wasn’t all about Karl though. Given, Lenny Kravitz’s band and Slightly Stoopid are pretty big credentials, but Denson’s counterparts were nothing to be scoffed at. Chris Littlefield held down the a somber, poetic and often avant garde vibe on the trumpet and flugelhorn, while a young-looking DJ Williams kept an explosive energy in his solos and a tight-funky sound to his rhythm guitar. 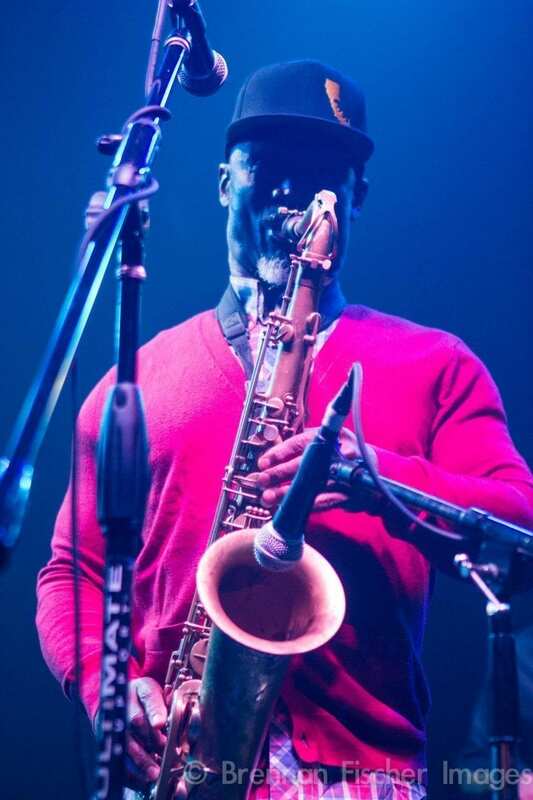 Although these two players served as the pillars in support of Denson’s mastery, all of the band’s music was worthy of praise. Of special note to this humble listener was a long improv set based on a classic by David “Fathead” Newman (saxophonist for Ray Charles and Herbie Mann) called “Front Money.” It was hot. And as an encore they played their take on “Seven Nation Army” by the White Stripes. This song also featured a sick solo from the brassy-sassy female trombonist from the Mike Dillon Band. It was a great way to end a night of great music.